The agents in E.T. : The Extraterrestrial carried guns, not walkie-talkies. 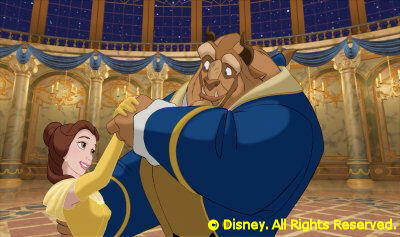 Disney's The Lion King and Beauty and the Beast are 2D animated films. Walt Disney Studios announced last week they will release "at least" 15 home video titles on Blu-ray 3D in 2011. Those with 3D-capable hi-def televisions and compatible Blu-ray players will now be able to see a wider selection of movies at home that match the 3D experience offered at the multiplex. There are some obvious names on the release schedule: Tangled, Tron: Legacy, Bolt, Meet the Robinsons and the 3D-retrofitted Nightmare Before Christmas. Then there are The Lion King and Beauty and the Beast. In the press release from Walt Disney Studios Home Entertainment, executive vice president and general manager Lori MacPherson said, "We're thrilled that consumers will have the exclusive Blu-ray 3D experience of two of the most celebrated Disney animated features, The Lion King and Beauty and the Beast." Count me among the not-thrilled. I'll say it again. 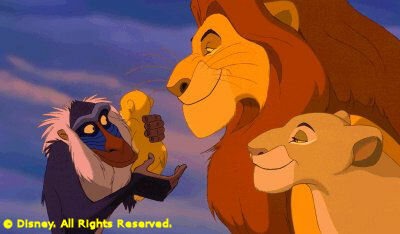 The Lion King and Beauty and the Beast are 2D animated films. Other than to generate a new revenue stream, what possible reason could Disney have to "dimensionalize" (MacPherson's word, not mine) these post-Walt classics? Will it make the wildebeest stampede that traps Simba and Mufasa any more harrowing? Will it make us root harder for Belle to escape her provincial life? Will it be a slap in the face to the creative artists who, two decades ago, toiled within a 2D platform to create these timeless stories and settings? Yes, I know, these 3D updates don't mean the 2D originals are going away (get Beauty and the Beast's recent Blu-ray release while you can--it's amazing! ), and it doesn't appear Disney will be tampering with the stories any, but if they ain't broke, why fix 'em? To me, 3D will never be more than a novelty format. It's fine for "fun house" movies that are all about the visuals, Tron: Legacy being the recent rare example of a 3D theatrical film that works. But, aside from life on the grid, the best use of 3D that I've experienced is It's Tough to Be a Bug at Disney California Adventure--and it came with insects poking me in the back and crawling under my seat. Presentation is everything. Walt Disney set the standard for "plussing" his products, adding that extra element, whether it be to a movie or a theme park attraction, to make it that much more special. Adding 3D to The Lion King and Beauty and the Beast does not plus them. It tampers with movie classics that were just fine 20 years ago and require no enhancements to make them relevant to modern audiences. Some movies are perfect as is. Just because technology enables you to change something doesn't mean you have to. Can't wait to get 3D in your house, or are you fine with your current home entertainment setup? Should Disney's 2D animated classics be "dimensionalized," or are they untouchable? Please share your comments below.